can you believe that i have lived in the state of hockey for four years now and yesterday was my first time ever going to a professional hockey game? sad, i know. 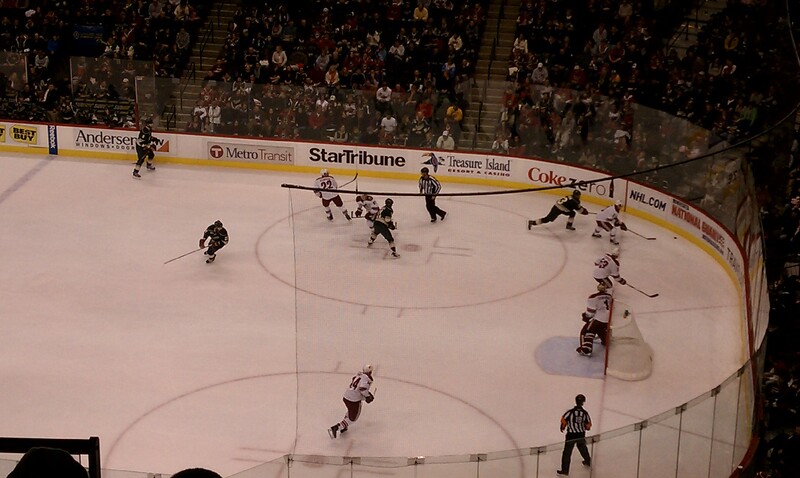 better late than never i suppose, the wild even pulled out a win against the phoenix coyotes. a big thanks to these two for sweet club level tickets. 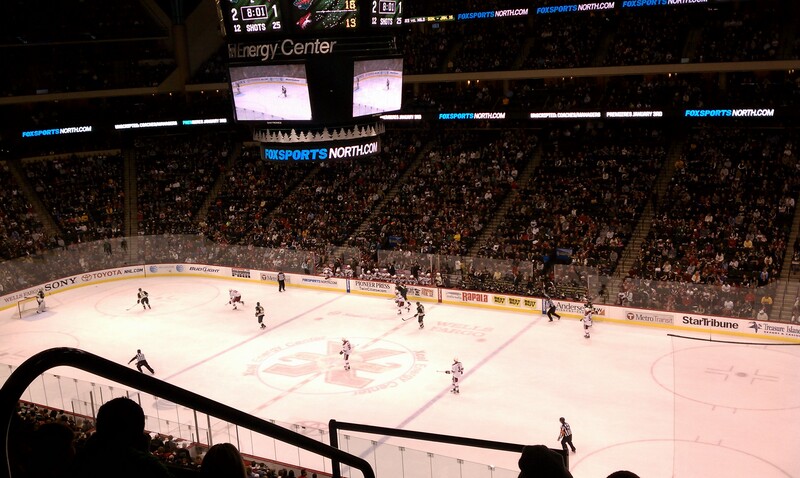 if you do go to a wild game and have the chance to try the carrot cake they serve there, do it.